Create labels directly from your PC. Simply plug it in to get started. No software installation necessary. Prints multiple lines of text and graphics. Supports all TrueType fonts. Uses tapes laminated for indoor/outdoor use. Convenient use of your existing keyboard for easy input. Prints exactly what you see on the monitor. Includes bonus PT-editor software for easily printing bar codes. Compatible with Windows 7, XP and Vista. Requires 6 AA batteries (not included). Includes AD-24ES adapter, USB cable and PT-editor software for printing bar codes. 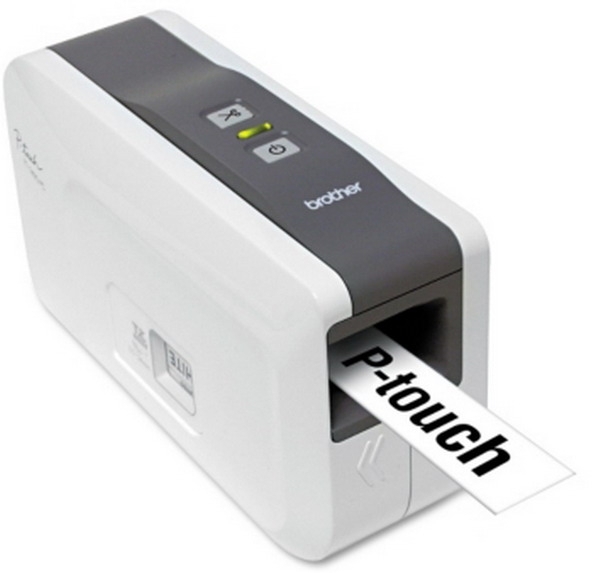 - MAXIMUM TAPE/LABEL WIDTH: 9/64"; 1"
- PACKAGE INCLUDES: AD-24 adapter, USB cable and PT-editor software.